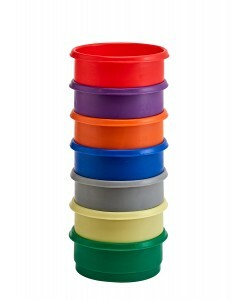 The rotoX range of inter stacking bins are food grade, heavy duty, stackable plastic bins perfect for use as food handling containers and for food storage applications. 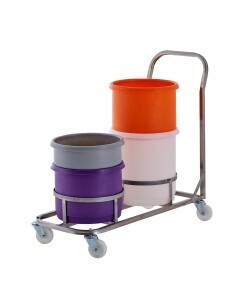 A favourite amongst the food manufacturing, food processing and bakery industries inter stacking bins are often called bakery bins or ingredient tubs. 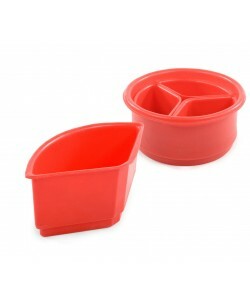 Our range of food grade bins include 4 sizes (in height and capacity) of stacking bin and each shares an identical base diameter, allowing them to stack regardless of model. 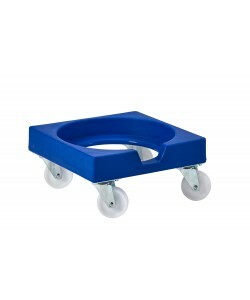 They are produced using rotational moulding and are incredibly tough and durable, with a seamless, crevice-free, smooth interior and exterior that is easy to clean and hygienic. 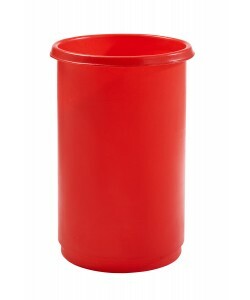 These food grade bins are commonly used throughout the food industry for storing and handling ingredients such as flour, grains, spices, sugars and much more. 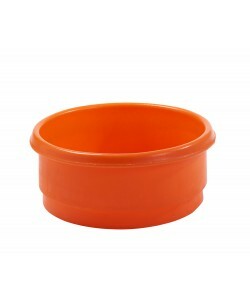 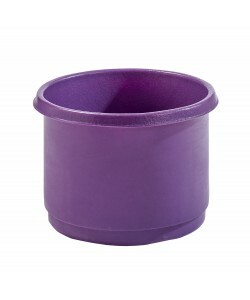 A popular choice within retail bakers and industrial plant bakeries these bakery tubs can be produced in over 12 different food approved colour options to assist with colour coding regulations, product identification and product segregation. 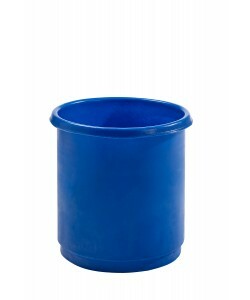 Inter stacking bins are straight sided plastic tubs and stack on top of one another securely, if you require tapered bins please refer to our range of plastic tapered bins. 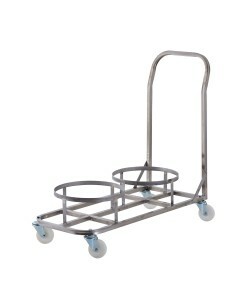 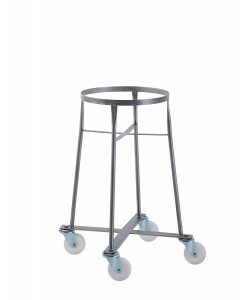 Each size of inter stacking bin incorporates an external base diameter of 425mm allowing it to be stacked on top of any other size within the range as well as a number of dollies. 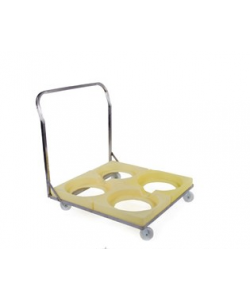 The rotoXDSB is a plastic dolly that has been designed to suit the entire range of inter stacking bins and has an aperture to match the footprint of the stacking tubs. 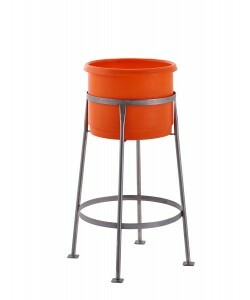 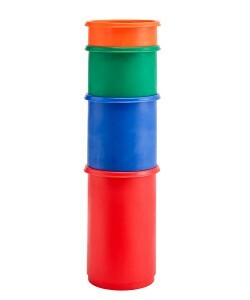 The range of plastic stacking bins includes the rotoXT01, rotoXT02, rotoXT03 and rotoXT04 each of which is available in a wide range of colours and with or without an optional plastic lid. 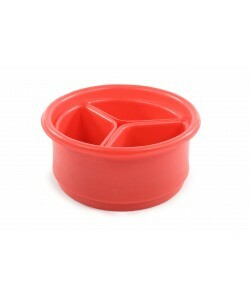 Designed to provide cover and protection for the inter stacking bins contents the rotoXL05 plastic lid can be placed on any sized container and also allows the food grade bins to continue to stack even with the lid in place. 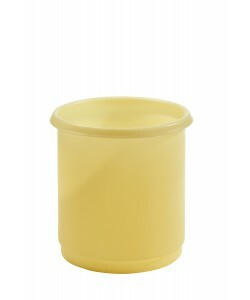 The plastic drop-on lid and the plastic stacking bins are produced from food grade polyethylene and incorporate easy to clean and hygienic designs. 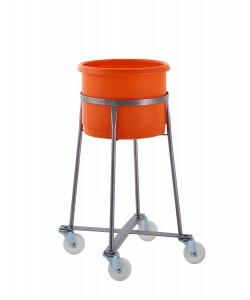 Ideal for bakeries the plastic bins are used as bakery tubs for the handling of flour and other ingredients. 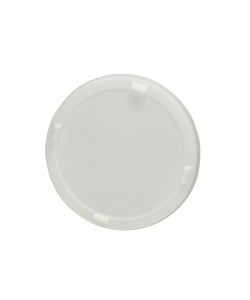 Food grade plastic internal dividers such as the RMSBTRI1 and RMSBTRI2 can be supplied if required for the rotoXT01 and rotoXT02 plastic bins to help separate small amounts of ingredients within one of the containers. 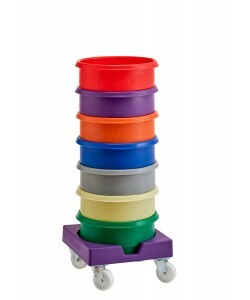 Perfect for colour coded practices the entire range of inter stacking bins can be produced in over 12 food approved colours. 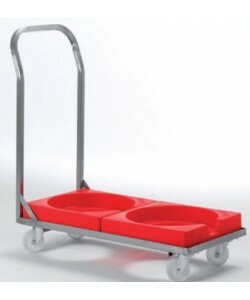 Designed to help assist with hygiene regimes, prevent cross contamination and allow for efficient product control the food handling containers can be fitted with moulded in graphics if required. 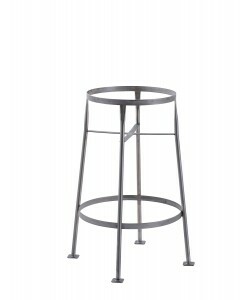 We also provide a bespoke labelling service for the food grade bins, producing adhesive labels to help clearly identify products. 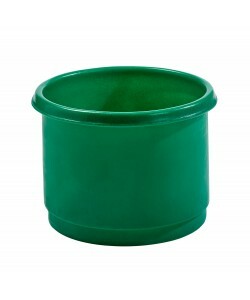 The plastic stacking bins are manufactured via a rotational moulding process which ensure that they are seamless and watertight but also provides a plastic container that has no internal crevices or dirt traps, is smooth and easy to clean.